The brains behind hit battle royale Apex Legends are investigating bringing the game to mobile. Following in the footsteps of console-turned-mobile hits Fortnite and PlayerUnknown&apos;s Battlegrounds, Electronic Arts is looking into taking the game to both Android and iOS devices in the future. This is according to the EA Q3 2019 earnings call, where the CEO of the company, Andrew Wilson, said "We are looking at how to take the game to mobile and crossplay over time. I also expect that this game will have tremendous value in Asia, and we&apos;re in conversations about that." That&apos;s also the first mention from EA that we&apos;ve heard of crossplay support for the game, which may mean in the future you&apos;ll be able to play against friends who have an Xbox One if you&apos;re using a PS4 and vice-versa. It&apos;s unlikely we&apos;d see crossplay support between console, PC and mobile considering how differently the games would control. Wilson&apos;s words sound like the company is at the early stages of development for mobile, so that means we&apos;re unlikely to see Apex Legends land on iOS or Android in the near future, but we&apos;ll keep you updated with anything else we hear. 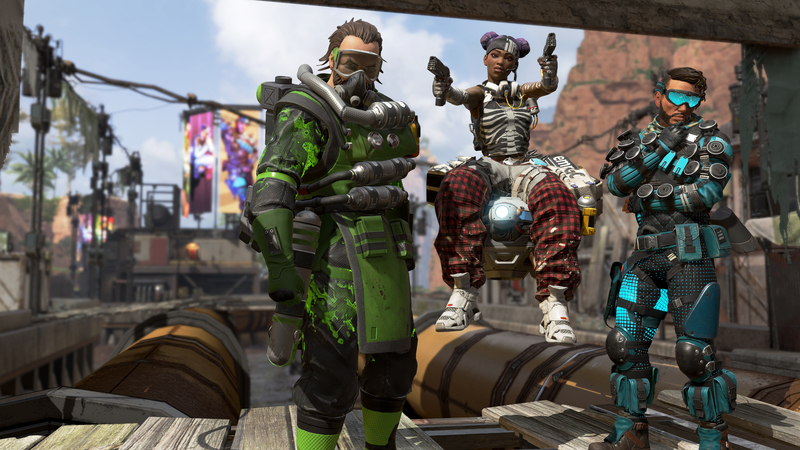 For those already deep into Apex Legends, a previous leak has suggested the game may soon include new solo and duo modes so you won&apos;t have to always play alongside two other players.